Last month, we posted this same deal to Cuzco. We didn’t think it would last this long, but per the fare rules, it will finally expire this upcoming Sunday, July 20th. 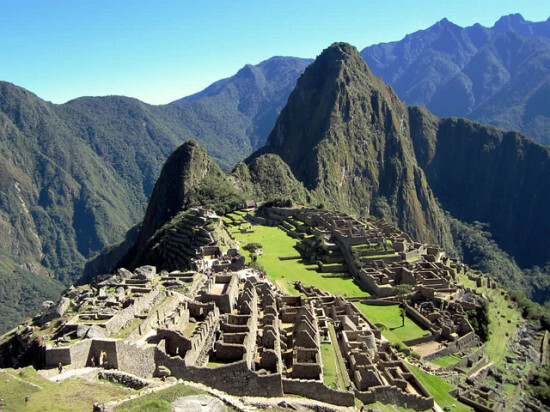 If you planning on doing this and want to hike the Inca trail, you will need a permit. The permit is capacity controlled, so definitely check that along with airfare availability to make sure you can actually hike. 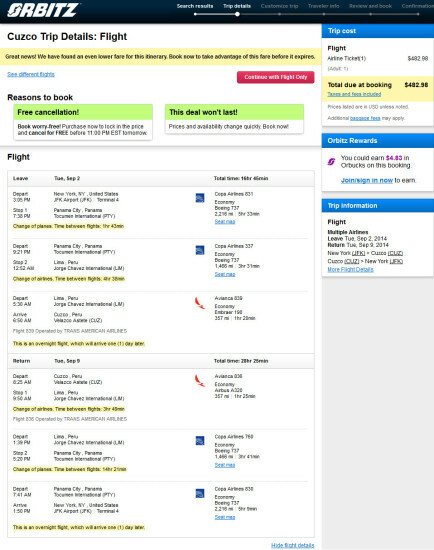 ITA is pricing this a few dollars more than what you can book on Orbitz. When you are on Orbitz, it will price $6 more than what ITA shows, but if you click through to purchase, it will show the prices above. JFK – PTY (Panama City) – LIM (Lima) – CUZ (Cuzco) – LIM – PTY – JFK. Segments between Lima and Cuzco will be operated by Avianca or its affiliates. 8,078 miles or 6.0 cents per mile. Copa and Avianca are members of the Star Alliance and United partner. This fare will earn 100% mileage with United.